The areas in red are where the proposed ban would be in effect if the bill passed. Renewable Energy is under attack once again in North Carolina. Earlier this week, on Wednesday morning, Senate Bill 377 (“Military Base Protection Act”) was introduced by state Senator Harry Brown (R- Jones, Onslow), along with Senators Norman Sanderson (R- Carteret, Craven, Pamlico), and Paul Newton (R- Cabarrus, Union). If passed, the legislation would impose an unnecessary, complete ban on all new wind projects in more than a dozen Eastern North Carolina counties. The bill is an attempt to “prohibit construction, operation, or expansion of wind energy facilities” in certain areas of the state with the state intent of keeping high structures out of current or future flight paths around the state’s major military bases. But the bill completely ignores the existing extensive review process by the U.S. Department of Defense’s Siting Clearinghouse. Just look at Amazon Wind Farm, a small section of it pictured below. This is the first large-scale wind farm in North Carolina (and the largest taxpayer in Pasquotank and Perquimans counties where it is located). Before development, the wind company Avagrid, went through more than six years of federal, state, and local permitting, review, and studies. They worked with the U.S. Navy and Department of Defense to sign an agreement in 2014 that includes an understanding to shut off the turbines if there was a national security threat. Avangrid received approval from the Department of Defense Clearinghouse – the federal agency that reviews renewable energy project proposals near military installations. It’s clear we already have the proper policies in place to make sure wind energy can exist in proximity to military bases. Wind farms like the Amazon Wind Farm in eastern North Carolina bring tax dollars, construction jobs, and steady income to farmers and communities alike. So, if the wind farm poses no threat to national security and the U.S. Navy was supportive of this first North Carolina-based project, why are a few state legislators taking a strong stance against future wind farms? To put it quite simply: these decision makers are opposed to renewable energy. North Carolina already has some of the most rigorous wind farm permitting and review requirements in the South. Placing these additional burdensome and unnecessary regulations on wind farm development in the Old North State jeopardizes economic benefits for North Carolina. 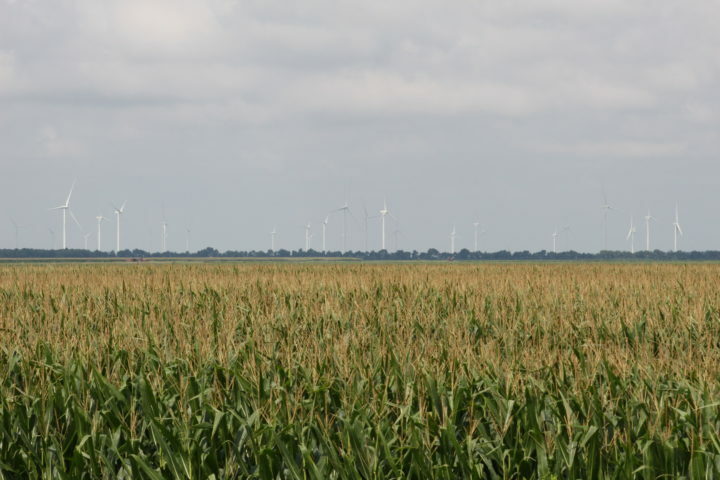 By opposing new wind farms, legislators are signaling to other companies willing to invest in North Carolina that the state is a hostile environment for renewable energy development in general and wind energy in particular. Senate Bill 377 violates property rights, and takes away the decision from landowners on how they want to use their land, jeopardizing millions of dollars in tax revenues for rural counties in Eastern North Carolina. North Carolina legislatures need to hear from their constituents NOW to stop this attack on renewable energy. Our friends at NC Sustainable Energy Association have a clear action here to stand up for wind energy and support future projects that would support our local economies.